The introduction of Euro 6 requires diesel motors not only to achieve particulate reduction, but also comply with a tight limit value for nitrogen oxide. High-efficiency SCR systems are therefore an essential part of exhaust-gas aftertreatment for attaining these goals. For both the simulation and the subsequent validation processes under real conditions, Eberspächer Exhaust Technology has devised a new development method for SCR systems in order to successfully respond to the increasingly shorter development times. 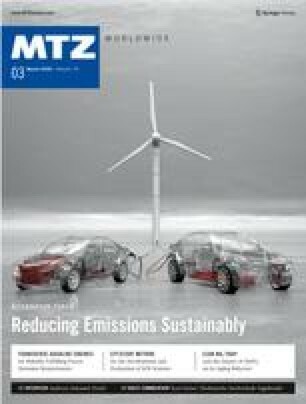 The authors would like to offer their sincere thanks to Dr. Rolf Jebasinski, Dr. Bernd Westerhoff, Dr. Joachim Hildebrand, Dr. Laurence Marie- Hieber, Krishna Vempati, Oleksandr Semenov and Vijayabhaskar Solipuram, all Eberspächer Exhaust Technology GmbH & Co. KG, for their support with this article.